More than 15 INTA units accessed the conference all over Argentina, through about 55 connections, allowing 80 professionals to attend this presentation in Spanish and to interact directly with Dr. Tardieu. INTA Labintex Europe of INTA and INTA Ecophysiology Network have organized a video conference on "Genetic analysis of responses to environmental factors combining information based on several platform and field experiments" by François Tardieu, a research director at UMR LEPSE (Laboratoire d’Ecophysiologie des Plantes sous stress environnemental) at INRA, French National Institute for Agricultural Research. 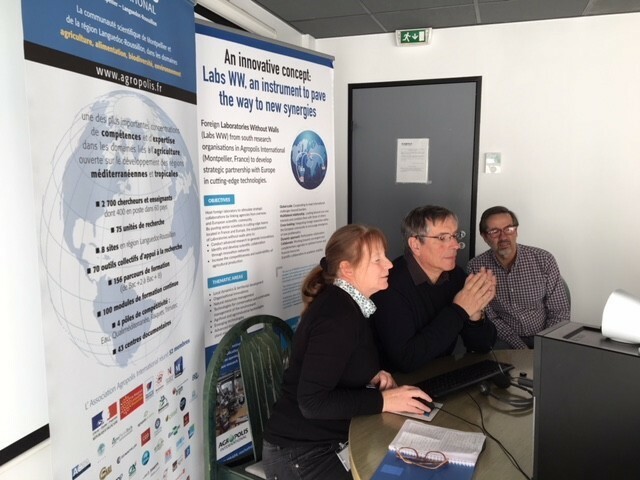 This conference took place on 29th November 2017 and was transmitted by Skype from the headquarters of Labintex EU located at Agropolis International (Montpellier-France).